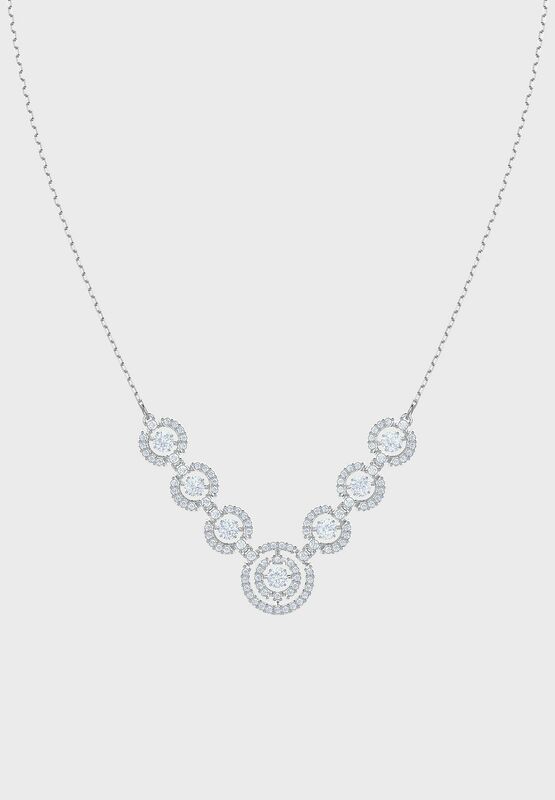 A thoughtful gift for Mother's Day, this stunning necklace shines with timeless elegance. 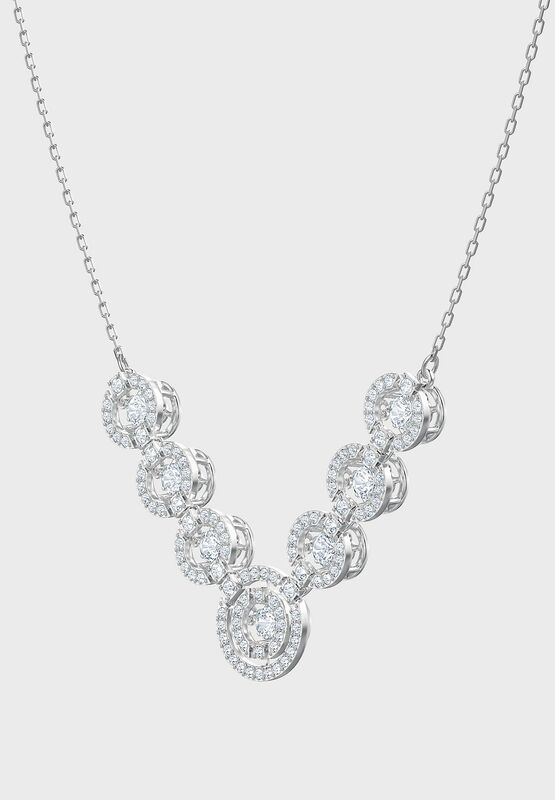 Using our innovative 'dancing crystal' concept, it features sparkling stones floating inside pave circular motifs. 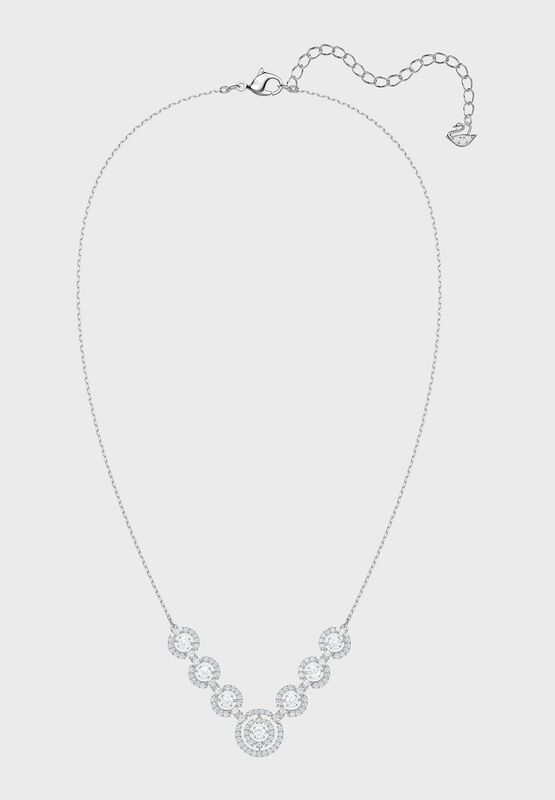 Plated in rhodium, it is guaranteed to catch the light and capture attention. 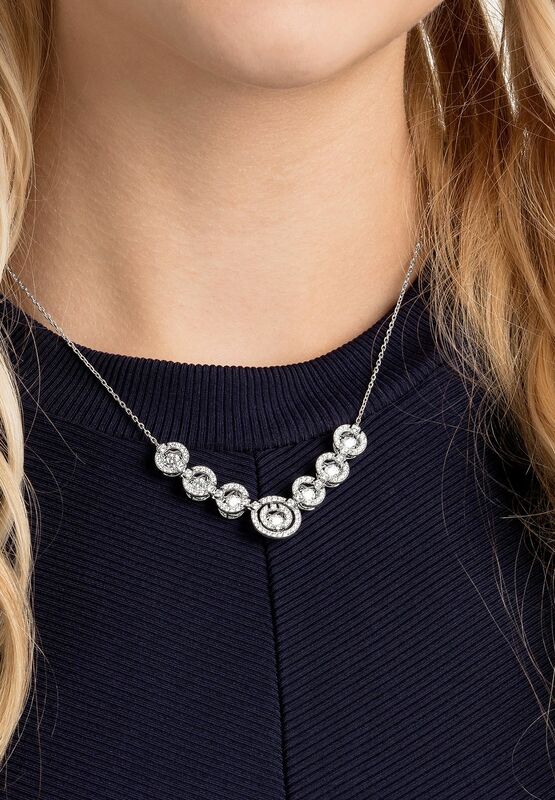 A statement piece, full of style and grace.